Apart from a superb collection of premier wine estates, the Cape Winelands is a visual feast of rugged mountains, expansive fertile farmlands and historical architecture. The tour starts with a visit to Paarl with wine tasting and a cellar tour at a famous wine estate; then to the beautiful village of Franschhoek, otherwise known as the gastronomic destination of the Cape; and lastly to the vibrant university city of Stellenbosch, the second oldest town in South Africa and the ‘Wine Capital” of the country. 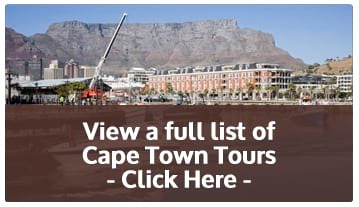 The tour is shows off the best of the region; from oak-lined streets to sprawling vineyards and gracious 18th-centry Cape Dutch, Georgian and Victorian architecture.